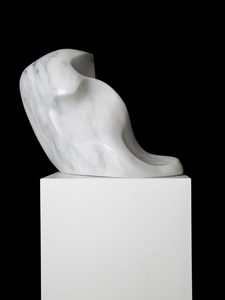 Reclining wave 2016 unique marble by Beth Cullen Kerridge. She was born in 1970 in Stoke on Trent to parents Judith Vincent, a businesswoman, James Cullen, a painter. She attended John Moores University and the Royal College of Art. Her work was subsequently shown in two of the London Parks.